Motorola has sent out invitations to a special press event to be held on September 4th, and along with the impressive-looking Moto 360 smartwatch, the formerly Google-owned company will take the wraps off two new smartphones and some kind of head-mounted gadget. It’s quite an exciting prospect, particularly given that Samsung is likely to take the wraps off the Note 4 and, in all likelihood, another addition to its ‘Gear’ smartwatch line-up the day before on September 3rd. Unlike Samsung’s event, which will head off IFA in Berlin, Germany, Motorola’s big announcements will take place in Chicago, United States, and as well as more info regarding the beautiful Moto 360, the successor to the heavily-lauded Moto X should also be on the agenda. 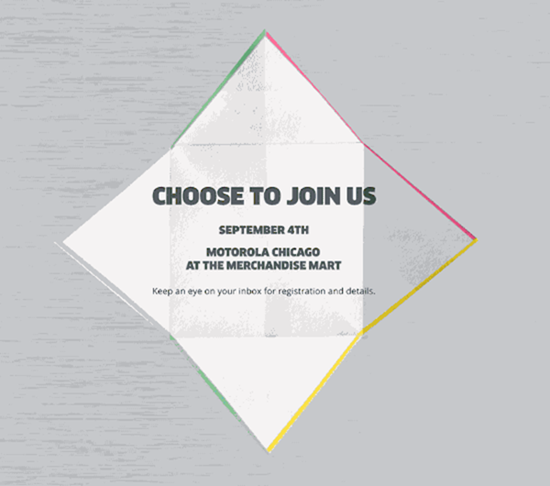 In sending out the invites, Motorola has naturally been quite vague, teasing invitees with one-liners and promises of wonderful things. With Google having agreed to sell the company up to Lenovo for a fraction of the original $12.5 billion fee it paid back in 2011, Motorola is looking to retain its status among the foremost suppliers of top-quality Android-based products, and the “Moto Launch Experience” will serve as a prime opportunity for the world to see what comes after the Google Era. 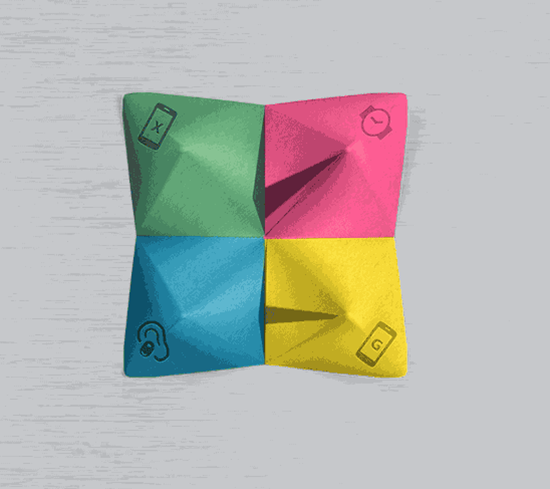 The invitation is designed in such a way that it folds up on-screen, and when it does, four icons appear: A phone with an ‘X’ on it, another handset with a ‘G’ on it, a smartwatch, and a headset of some description. We’d expect the two smartphone references to signify the Moto X and Moto G’s respective successors, while the watch is clearly a reference to the Moto 360 smartwatch. First announced alongside Android Wear, we got a closer look at the Moto 360 at Google’s I/O, and although LG’s G Watch and compatriot Samsung’s Gear Live will certainly have something to offer this bustling, emerging industry, the Moto 360 is still our favorite Android Wear smartwatch so far by quite a considerable margin. Precisely what’s so special about the headset, which is also featured on the invite, is anybody’s guess, but all will be revealed come September 4th. As ever, we’ll be covering the event and its major announcements from beginning to end, so stay tuned and mark your calendars!